2. Copy the External IP Address for use in DNS Provider later. 3. 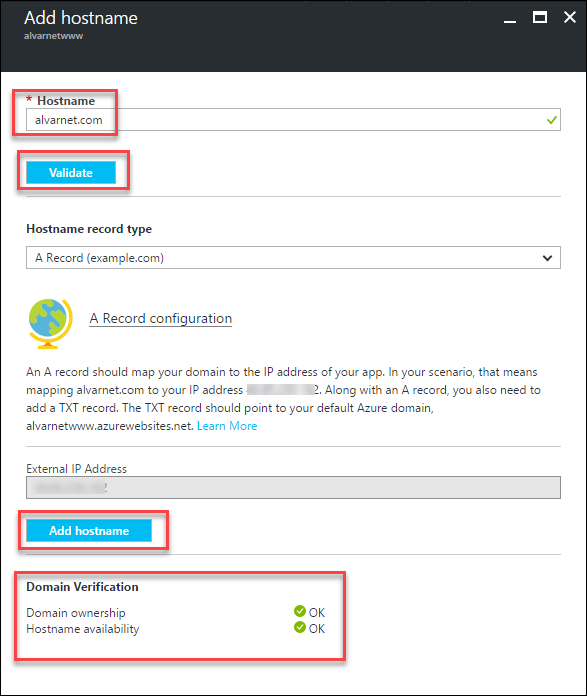 After entering the new Hostname > Validate > Note that in the Domain Verification area, Domain ownership shows an error, requiring that ‘A’ records and TXT records need to be added for the new Hostname. This needs to be done in the DNS provider for the domain. 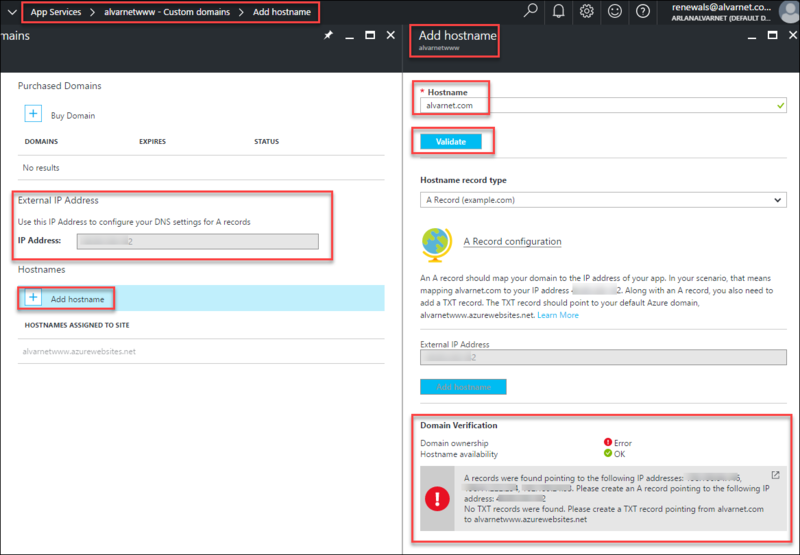 In DNS Provider, change the IP address of the @, *, and www ‘A’ Records to the new IP address provided by new Azure Web App (saved from step 2 above). With selecting ‘Add hostname’ after the successful validation, the new custom domain will be added to the list of “Hostnames Assigned to Site“. Repeat process above to add ‘www.alvarnet.com’ hostname. 8. Test connections to new custom domain sites.